Forward-declare a message, including Ptr and ConstPtr types, using std::allocator. 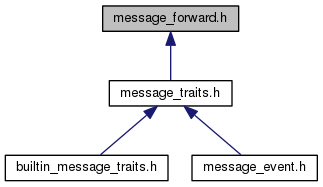 Forward-declare a message, including Ptr and ConstPtr types, with an allocator. Definition at line 69 of file message_forward.h. Definition at line 59 of file message_forward.h.